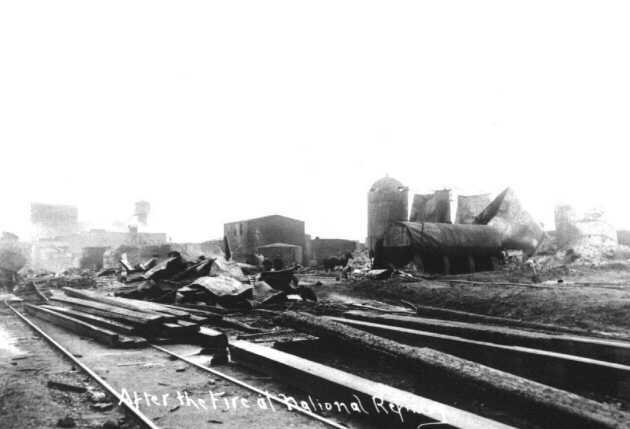 National purchased the Peerless Refinery in Findlay, Ohio in 1896. 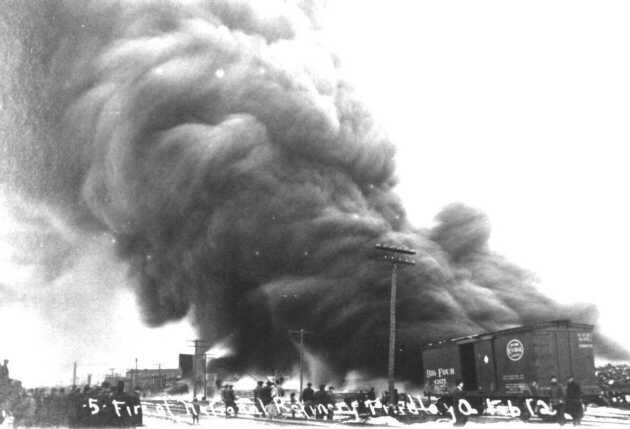 This was originally established in 1887 by the Peerless Refining Company. 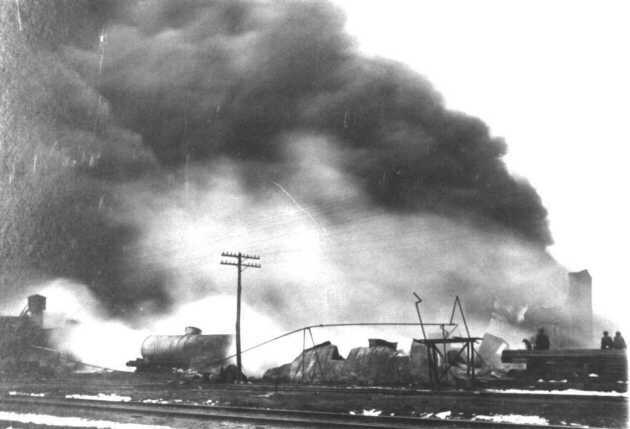 In the 1960's it was the site of an Ashland Oil refinery. 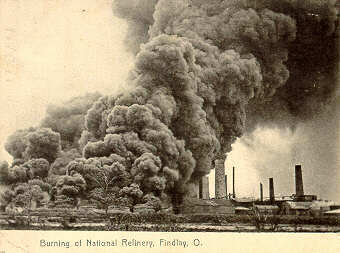 Here is a postcard of the refinery at Findlay. Notice that it says that this refinery is the largest independent refinery in the United States. Postcard is postmarked 1913. Part of author's collection. 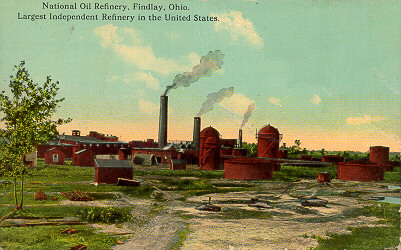 Another postcard of the refinery at Findlay, postmarked 1919. Part of author's collection. 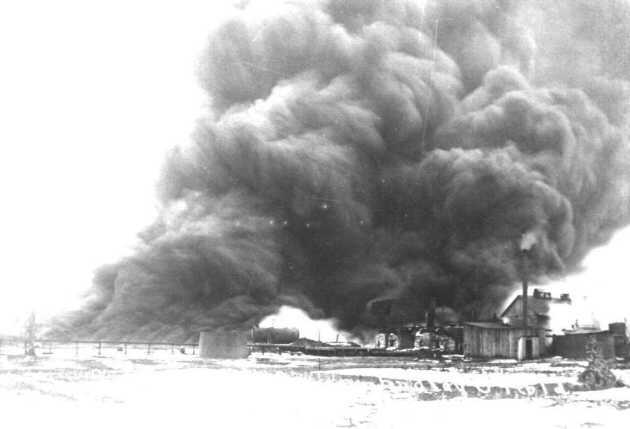 This is a photo postcard of a fire at the refinery in 1906. Part of author's collection. 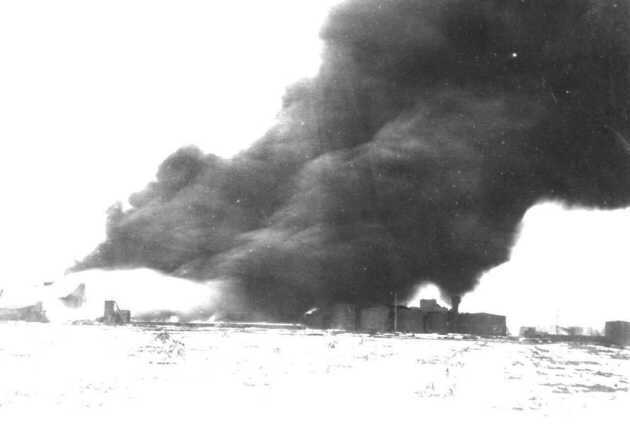 The postcard below is of the fire on Febuary 12, 1911. Of special note, the first black and white photo in the set below is the original photo used for this postcard. Part of author's collection. 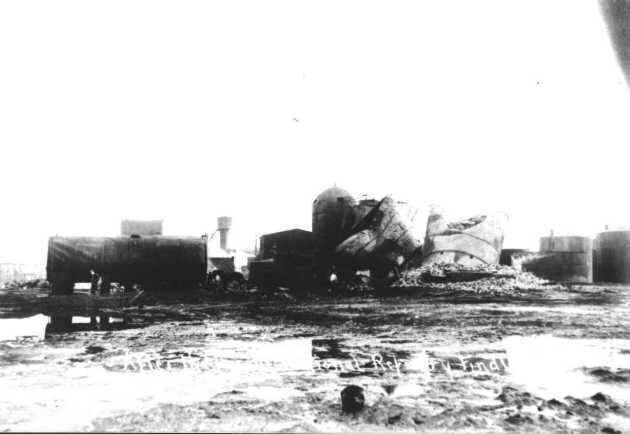 The photo below is of the Findlay Refinery circa 1928. 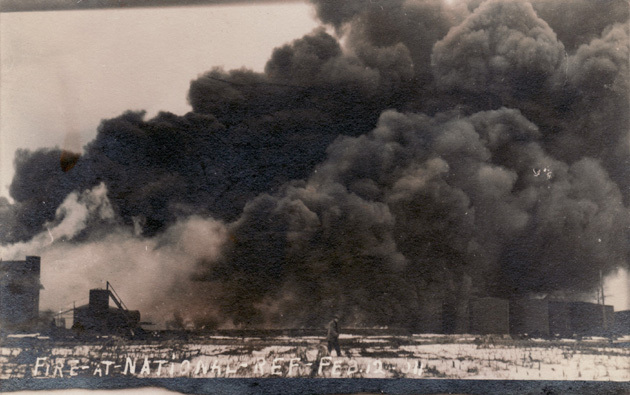 Below are original photographs of the National Refinery at Findlay, Ohio.